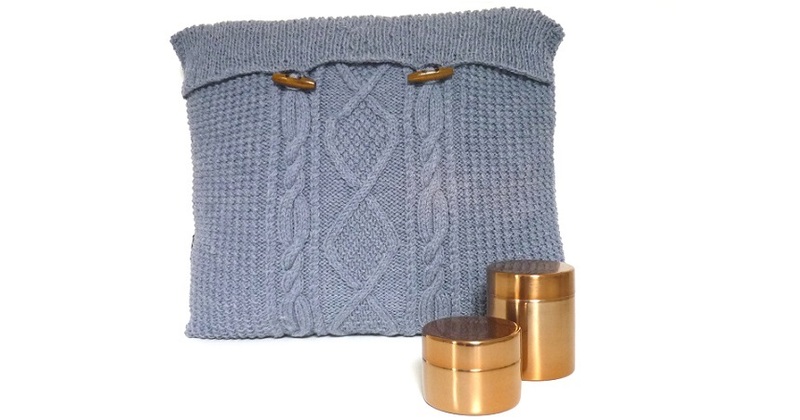 A huggable, lovable pillow / cushion in the traditional Aran fisherman cable knit style. Pure new wool. Dimensions: 50 x 40 cm, that is 19.5 x 15.5 inches. Fastened with two wooden toggles. This is an original design, one of a kind, hand-knitted and up-cycled from a vintage, original fisherman Aran jumper. I carefully select the softest, cuddliest vintage Aran jumpers and create equally soft, cuddly, beautiful items. I love working on knits started by someone I don’t know. Quite literally, it’s like picking up the threads of someone else’s life! The pillow / cushion comes with a super soft hollow fibre filling. Please contact me if you would rather receive the cover only, I’ll send you an invoice for a reduced postage price. If you are worried about buying online, have a look at my friendly policies. For any other questions or for a chat, get in touch! Super chunky knit cowl or infinity scarf in a lovely natural oatmeal colour. 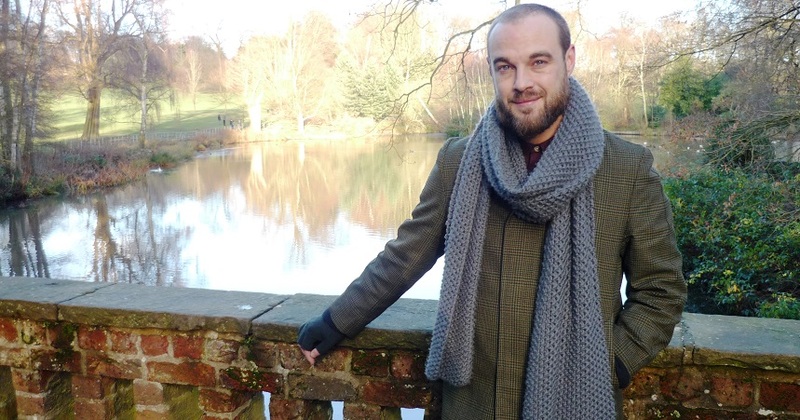 Original design, hand-knit in London. Extra-bulky 100% extra fine Russian merino wool, very soft and luxurious. Measures: 7.5 inches / 18 cm high, 42 inches / 107 cm circumference. Also available in: royal blue, chocolate brown, heather grey, mint green and natural white. 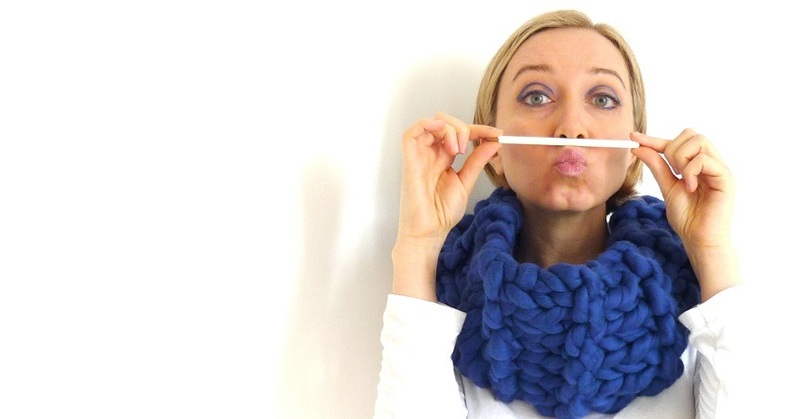 Super chunky knit cowl or infinity scarf in a lovely vibrant royal blue. Extra-bulky 100% extra fine merino wool, very soft and luxurious. Measures: 8 inches / 20 cm high, 40.5 inches / 106 cm circumference. Original design, hand-knit in London. 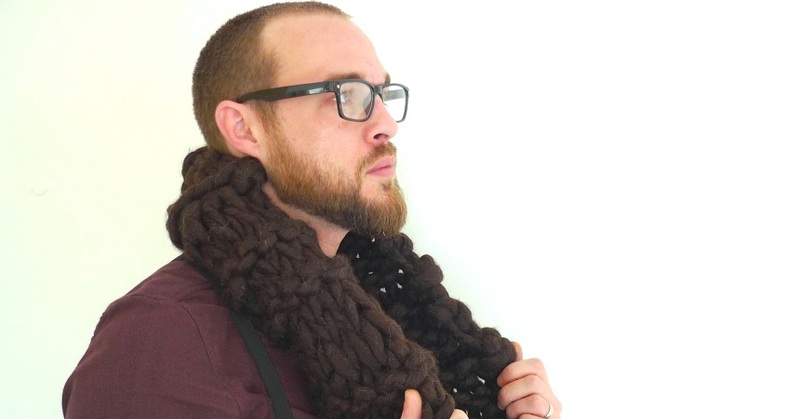 Super chunky knit cowl or infinity scarf in a rich chocolate brown. Extra bulky 100% fine pure new wool from Finland, very soft and warm. Measures: 8 inches / 20 cm high, 44 inches / 112 cm circumference. Hand wash in cold water and mild soap only. 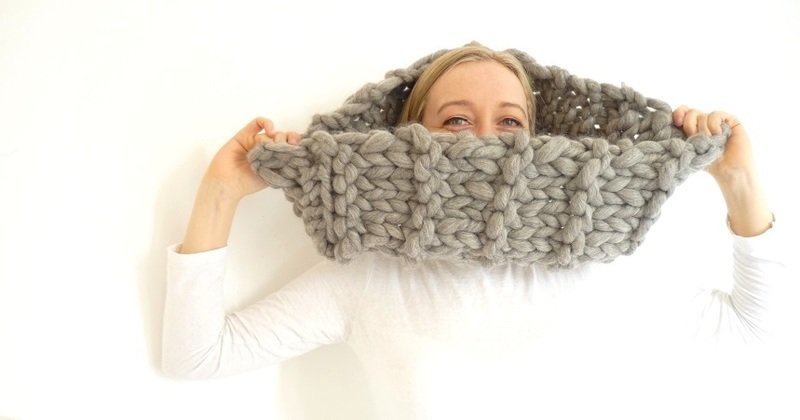 Super chunky knit cowl or infinity scarf in a lovely marl / heather grey color. Extra-bulky 100% extra fine pure new wool from Finland, very soft and luxurious. Measures: 8 inches / 20 cm high, 42 inches / 108 cm circumference. Super chunky knit cowl or infinity scarf in a lovely mint green color. Measures: 8 inches / 20 cm high, 38 inches / 98 cm circumference. ‘We all need to be more conscious about our planet’s resources’. This is the idea behind Knit with Attitude, a yarn shop specializing in ethical and sustainable, environmentally-friendly yarn. Everything is such high-pace, says Maya. Knitting, like crochet, is slow. It gives you space to breathe. You count, you repeat the same movement. It’s constructive, you create something. And as you are creating something beautiful, you might as well make it ethical, sustainable and eco-friendly. 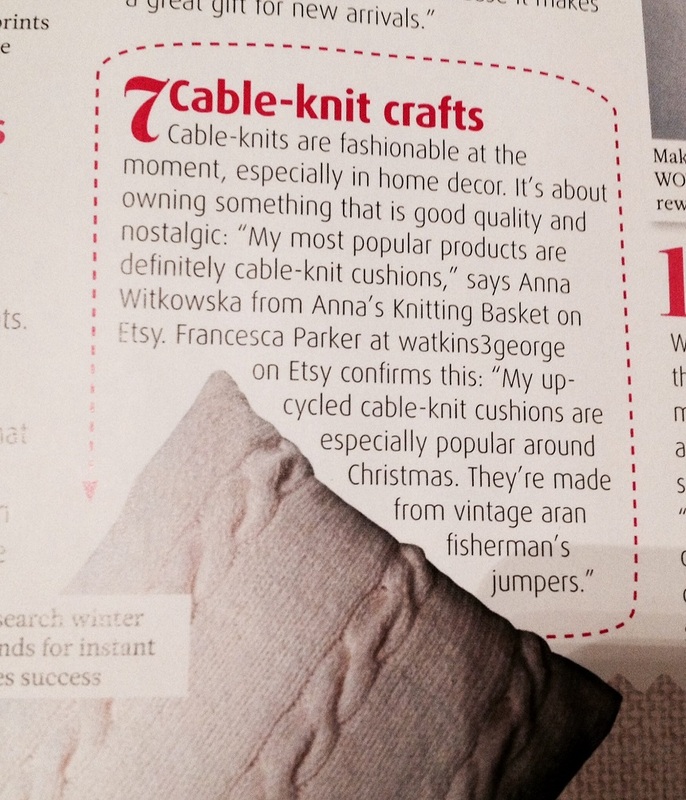 ‘Although wool is a natural material, it is not necessarily eco-friendly’ says Maya. She personally selects small production companies, asking questions about how the sheep are fed, which kind of energy is used for the production, how much water, whether chemical colours are used. Ethical and fair-trade concerns are also taken into account, as Maya looks for companies that contribute to the community. Not all wool ticks all the boxes, but the quest led to some amazing yarn. While Knit with Attitude’s best-seller is super-soft organic Alpaca wool, Maya also stocks some very unusual fibres. The Pure MILK fibre is a certified organic yarn made from casein, a milk protein, very kind to sensitive skin. Ruca Multy, sourced from Chile, is made of 100% sugar cane. Then there’s the ethical products. Sales of the Mirasol Yarn Collection support a school for Peruvian shepherds’ children. 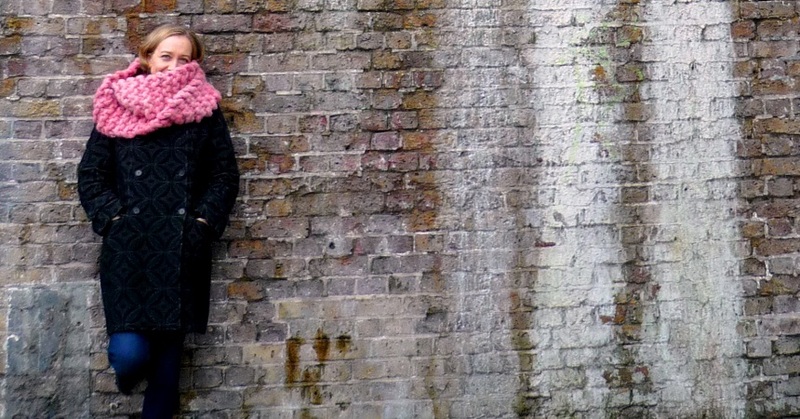 The Mikono Knits clothes range are made by a women empowering project in Kenya. A similar project in South Africa produces the Incomparable Buttons, a range of hand-made ceramic buttons. 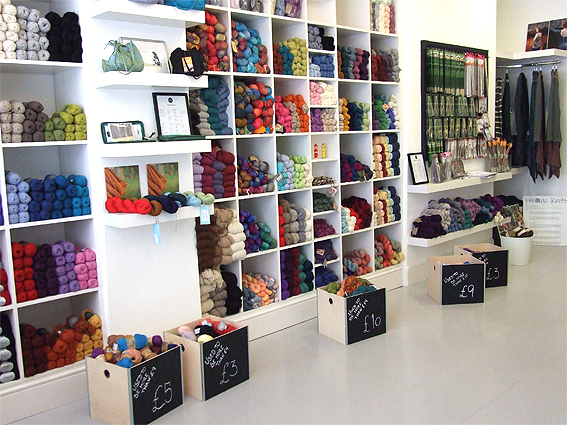 Are you getting excited about making a consumers’ statement while stocking on beautiful yarn? So am I! Knit with attitude opened at the current address, shared with Of Cabbages & Kings, in November 2012.